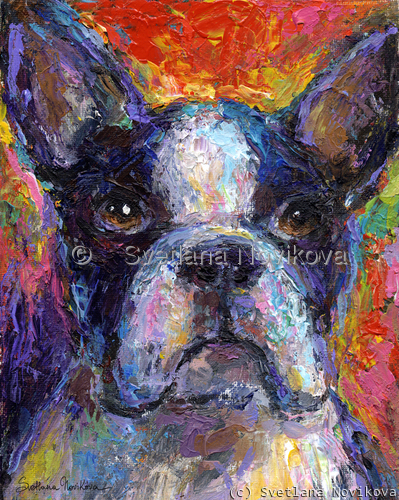 Original Boston Terrier painting, acrylic on canvas, done with palette knives. Copyright Svetlana Novikova. 10" x 8"13.75" x 11"17.5" x 14"21.25" x 17"25.375" x 20.25"